The vehicle supports various external devices depending on the current software version. With a software update, the vehicle can support new cell phones or new external devices. Updates and related current information is available at www.bmw.com/update. The currently installed software is displayed. SelectDesired version to displayAdditional information. The software may only be updated when the vehicle is stationary. 1. Store the file for the software-update in the main director of a USB flash drive. 2. Insert the USB flash drive into the USB interface of the USB audio interface in the center armrest. An update via the USB interface in the glove compartment is not possible. All listed software updates are installed. If it should become necessary, the software version prior to the last software update can be restored. The previous version may only be restored when the vehicle is stationary. All listed software updates are removed. 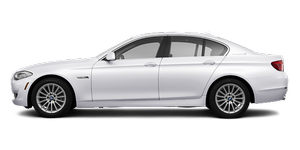 While the software is being updated or a previous version is being restoredBMW Assist, Office functions and the connected devices are temporarily unavailable. Wait several minutes for the functions to become available again.